Ron Bakir. Founder & CEO of HomeCorp. Ron Bakir founded HomeCorp Property Group in the early 2000s, and since then has been developing residential properties and inspirational master planned communities all over Queensland and regional Australia. Under the leadership of Ron Bakir and his team of property professionals, HomeCorp has continued to grow into one of the country’s most thriving and lucrative development companies. A true 21st century frontrunner and entrepreneur, Ron Bakir started his first business venture as a young man selling mobile phones. With his passion and natural flair for business growth and expansion, this small enterprise quickly turned into a large chain, growing rapidly across the Gold Coast and Queensland. Starting out from scratch and with very little, Ron is extremely passionate about championing the disadvantaged. As the son of a migrant family, he knows what it’s like to start out with nothing, work hard and build your own success. His perseverance and drive to keep accomplishing the impossible has always motivated him to keep pushing forward, keep working harder and achieve his goals. Since the founding of HomeCorp in 2004, Ron Bakir has led a talented and dedicated team of urban development professionals to build one of Queensland’s most dynamic property companies. His insatiable determination to achieve the impossible drives his passion for creating inspirational homes in areas of high growth and quality lifestyles, which is shown through the strong and steady ongoing growth of HomeCorp. 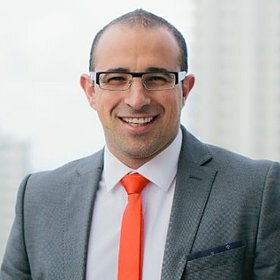 Ron Bakir was awarded the Gold Coast Young Entrepreneur of the Year 2013, for his flourishing success leading HomeCorp and the success he has achieved. Spearheading development of more than 1500 residential lots across Australia and seeing HomeCorp turn over $106 million, winning this award ended a fantastic year for Ron Bakir and his team. With new successful property developments over the last several years, Ron Bakir has been nominated as a finalist in the CEO Magazine’s 2015 Executive of the Year Awards for the Construction Executive of the Year. These high-level recognitions are a testament to his extraordinary success and worthwhile contributions as a leader and the CEO of HomeCorp. Under the guidance of Ron Bakir and his staff, HomeCorp has delivered thousands of homes through 15 successful projects across Australia, and is widely regarded as one of the country’s emerging urban leaders. For more updates you can follow Ron Bakir on Twitter, or see his Youtube channel for more information. HomeCorp is one of Australia's most successful urban community creators operating in regional Australia. HomeCorp has achieved over $595m in accumulated sales since launch across 15 projects. From humble beginnings delivering small home and land projects to Australian Property Investors HomeCorp has grown to catalyse over half a billion dollars of urban development projects under guidance of CEO and founder Ron Bakir. HomeCorp recognises that a great investment comes from delivering a quality home in a quality place. HomeCorp sources and secures new projects in regions of high infrastructure investment and job creation. HomeCorp is a private company headquartered on the Gold Coast, Queensland. HomeCorp has delivered projects in Western Australia, South Australia, Victoria and Queensland. Ron Bakir has been leading Homecorp and its dynamic team since 2004. Over this time, the property development group has grown significantly to over 15 projects across Australia.